Office spaces have come a long way since the cubicle takeover of the 1980s and 1990s. Interior design is at the forefront of the workplace now and with it, a renewed sense of self, purpose, and spirit. What’s more, The National Conference of State Legislatures (NCSL) estimates the unemployment rate in the U.S. currently at 3.9 percent, with 164,000 jobs added in April alone. As job markets grow, demand from the workforce means competitive employees and talent are looking for premium offerings, and companies recognize the need to deliver on this ask. Ergonomics is a popular catchphrase nowadays, especially in consumer products but it is truthfully a very important component to office furniture. As working styles become habitual, movement becomes scarce and our posture can affect productivity. Ergonomic furniture is essential to a healthy workplace and with countless studies performed spanning several decades, ergonomics has been shown to increase both productivity and health. Purchasing ergonomically-crafted task chairs, Sit-Stand desking, and countless other products can make a substantial impact. Oftentimes, environment has an impact on the way we behave or function in that space. Offices have seen a shift in the past decade toward more collaborative, open-office design that can impact how we conduct business. Design affects the way in which employees operate in these spaces; however, furniture is really the icing on the cake. Furniture can elevate each defined workstation and allow its inhabitants to feel empowered and confident. The modern office is a space that functions for employees; more specifically, defines the activities in which work takes place. Take a conference room, for example. Conference rooms tend to be the gathering place for top-level, important conversations, or meetings. However, many are dark, outdated, and lack the appropriate outfittings to be hubs for creativity, productivity, and success. Sound plays a major role in the workplace as well. It can affect positive change or hinder it. Too much noise can create distractions and limit an employee’s ability to stay focused. Sound Masking Systems, acoustic panels, and privacy screens can offer solutions to common issues. However, the positioning of your departments and overall workplace floor plan might be the real culprit. The important thing to understand is that noise and disruptions can actually cost your business large sums of money in lost revenue, according to a study by The National Institute for Occupational Safety and Health (NIOSH). The findings aren’t anything new. Noise remains the primary contributor to workplace stress. Furniture can play a positive role in your organization’s ability to drive success and change, but many sideline this understanding due to financial reasons or pushback. We’ll be releasing a new post soon that covers the financial benefits for business owners who purchase office furniture, so look out for that in the coming weeks. In short, when you look at the cumulative issues present in your organization, ask yourself whether the furniture is supporting or hindering your employees’ success. We suggest sending out a poll via email or having employees vote on the workplace design. 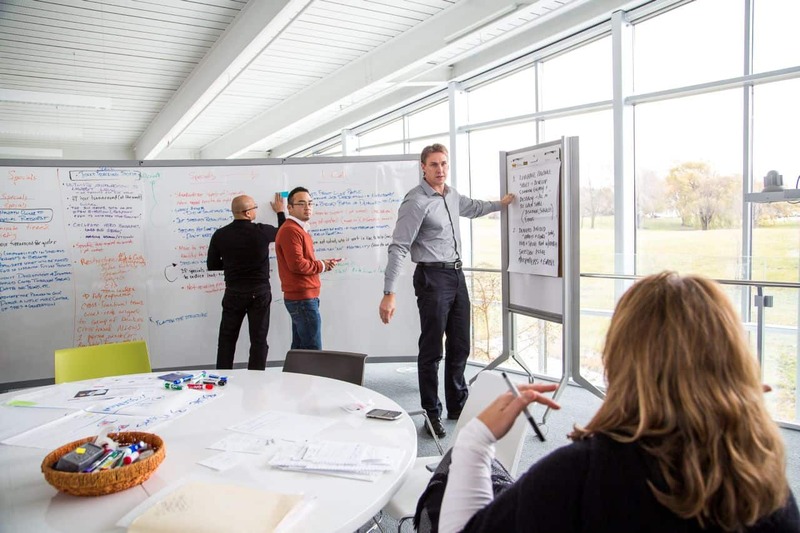 Capture the feedback, and see what issues can be resolved through meaningful design and furniture that elevates your workplace. If you’ve done a poll, share it with us! We want to hear from you and understand what problems you’re facing.